Version 1.40.0 of our personal messaging plugin for Osclass is now out on the market ! To celebrate, here's -20% discount for a short period of time. Version 1.31 of our personal messaging plugin for Osclass is now out on the market ! For those who already bought it, we'll send you the update for free ! 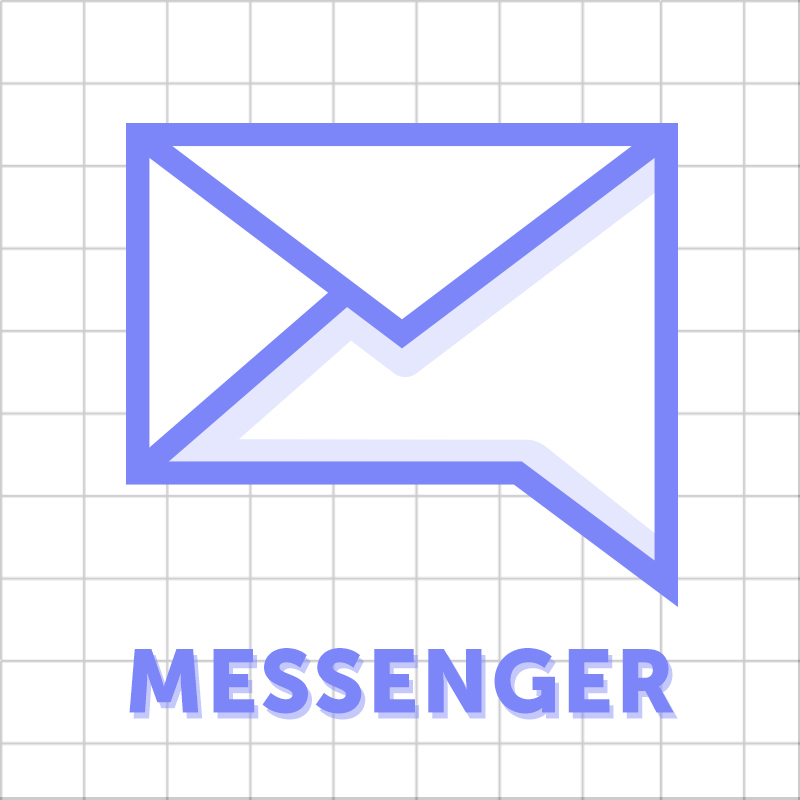 Madhouse Messenger is a premium personal messaging plugin for Osclass designed and maintained by Madhouse. It enables registered users connect with each others (send & receive messages) seamlessly on our Osclass powered website and chat about their items without having to left your Osclass website. It features an unified inbox, conversations linked to items or not, a default theme that works well with Bender, a lot of settings and is well-coded and documented. Get Madhouse Messenger on the Osclass market! All messages are regrouped in conversations (you see the whole conversation, one message after the other like in a chat app) and not as single/separated message. Conversations are linked to the item which is related. Users can know when theirs messages have been read (thanks to read receipts feature). Dashboard. You can get daily, weekly and monthly statistics (and global of course). Review messages. Have a look at all messages to moderate them (same view as the one for items in Osclass). Advanced settings over e-mails notifications. You can configure the plugin to send e-mail notifications when a user receives a message and/or when he received a certain number of unread messages. You can even ask the plugin to send an e-mail everytime a user receive a message and stop when he got a certain number of unread messages and only send reminders after that. The plugin is shipped with a default theme that is really integrated with Bender. Helpers. Those views are built with many helpers that gives you access to Messenger features just like Osclass does. Are you convinced yet ? Could you pleas shortly summarize what is difference between your plugin and Private Message Plugin (already exists)? Good question. I wondered the same. I was going to download for comparison but I don't if site requires account, info, etc. @frosticek, Thanks a lot ! If you ask that question, I guess that mean that my article (here) and my full documentation (here) giving features (explained) and screenshots is not clear enough . I'll try to make it clearer, but I'm not digging the exercise since I don't want to sound vindicative or sound like I say that the other available plugin is bad or something like that. Get Madhouse Messenger for half the price if you're one of the first 6 to buy it : 50% lauching offer ! PS : I've edited my first post with this. Can't speak for Frosti but I read if interested and I don't even have a personal use Osclass site anymore.... just like to stay on top as much as possible. Also, look at the hundreds, maybe thousands that will read this over time. ** What happens to a thread if an item is deleted ? expired ? is marked as spam? is deleted by admin ? **Is it possible to contact users through this plugin even without item ? ** Is the plugin works with antispam system (Askimet, etc.) ? ** Is it possible for a user to block another user? So, he can't receive message from him ? If an item is disabled/expired/blocked/deleted, thread is still exists and users can still send messages but it will not be linked to an item anymore. Check the helpers : mdh_thread_has_item() and mdh_thread_had_item(). In the default theme (and in the admin page), it will display "linked to a disabled/deleted item". In fact, it is possible in the core (nothing forbids it, technically speaking), but it is not enabled for now. If you really need it, I can provide a quick update. That's a one-line modification, haha . I'm afraid, I did not check this at all. For now, on our osclass website we got sent 10 000 messages and we didn't got any spam problems. No, it is not. It may be a good feature though ! I'll include it. About updates, if you purchase Madhouse Messenger, you'll get the updates for free (that's why I ask for the e-mail when purchasing on Gumroad ). Hi how can i know if this is compatible with tuffclassified? also will i get what i see in pictures? I mean the same styling with css and ajax? Then likely you'll have trouble finding plugins because many say new so others know that it is not old or just an update. You'll get exactly what you get in those pictures with the Bender Theme. I don't know TuffClassifieds, unfortunately. Everything is customizable but you'll need to do the customization yourself to match your theme/requirements. It was new. Just edited the title to remove new.